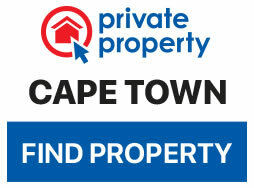 The very first South African leg of the Ophir World Adventure Cocktail Competition took place in Cape Town, and was hosted on the dazzling top floor of the Zeitz MOCAA. In the end, South African Julian Short took home the winning title and will now head to Turkey to carry the South Africa flag high. On 28th August six finalists from across the country were flown to Cape Town to compete for the coveted spot in the global final of the Opihr World Adventure Cocktail Competition. Each finalist performed a live demonstration, talking the judges and guests through each step of their cocktail recipe, as well as sharing the inspirational story behind their creation. 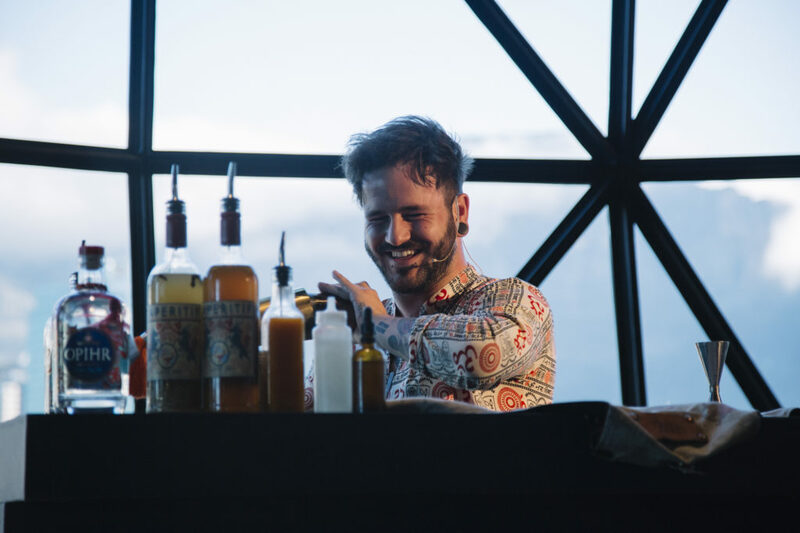 Short, scooped up first prize with his creative cocktail ‘Manilla’ and is the first South African to advance to the finals. The delicately balanced yet punchy cocktail paired Opihr Oriental Spiced Gin with Caperitif and sour fig, two ingredients unique to South Africa. The local judging panel included bar owner and mixologist Mmiso Luphondo, photographer and director Justice Mukheli and last year’s global winner Aaron Pollack from Chicago, who was enjoying his first trip to the country. 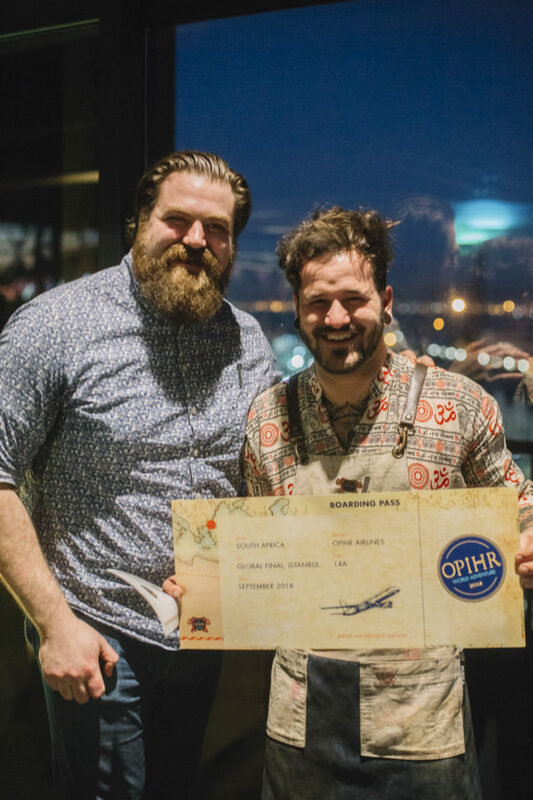 Julian will be flying the flag for South Africa at the final taking place from 24-27 September 2018 in Turkey where he will be judged by an international panel including Simone Caporale from The Artisan bar in London (holder of the title of World’s Best Bar), Ondrej Pospichal of Proof and Company in Hong Kong, and Aaron Pollock the 2017 competition winner. 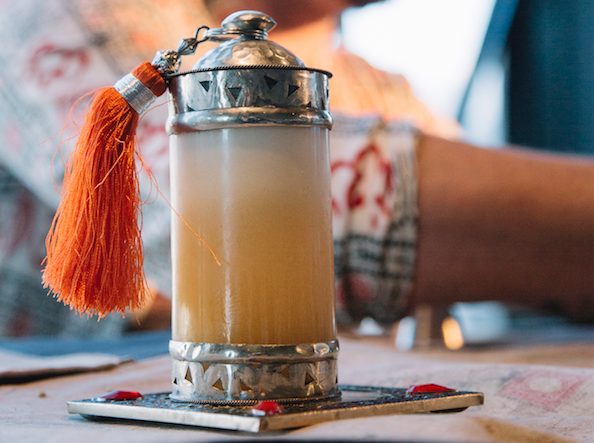 The final will take place in vibrant Istanbul were mixologists will compete for the ultimate title of The Spirit of Opihr.